With the Rolex 24 Hours in the books and the US season off to a strong start for Porsche, we have a lot to look forward to in both Grand-Am and ALMS this year. Members of the PorschePurist team will be at Homestead and Sebring in March to cover each race and cheer on our favorite teams. Don't forget, FlatSixes.com has entered into an agreement with Flying Lizard Motorsports naming our site as the first U.S. based Flying Lizard Merchandise Affiliate Partner. If you plan on going to Sebring, or any other ALMS race this year, and want to do so in style, the Flying Lizard team gear is a great way to go. Meanwhile, if you’re not able to keep up with each Porsche Motorsport post here on FlatSixes.com and would prefer a brief synopsis of what’s happening in the world of Porsche Motorsport, there is no better way to stay in touch than by reviewing the monthly Porsche Motorsport Newsletter. Filled with interesting facts and figures about past and upcoming races, along with changes to team and crew, the Porsche Motorsport Newsletter is an easy way to keep up-to-date on this year’s racing activities. Porsche continues dominating long distance classics. Last weekend Action Express Racing secured victory at the 24 Hours of Daytona with a Riley prototype powered by an independently-developed V8 based on the Cayenne. 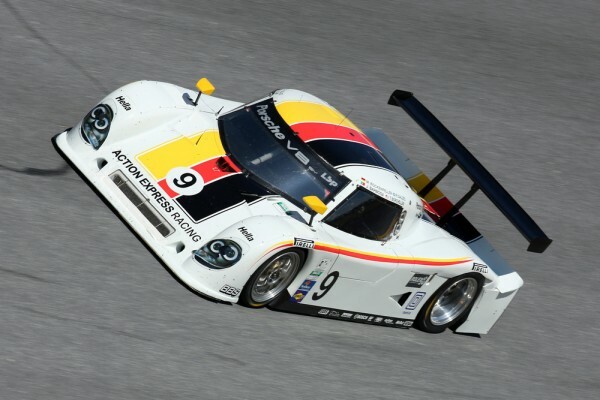 This marked the 22nd overall win for Porsche at Daytona. Sharing the cockpit were Joao Barbosa (Portugal), Terry Borcheller (USA), Ryan Dalziel (USA) and Mike Rockenfeller (Switzerland). In the GT class, two Porsche 911 GT3 Cup racers, fielded by TRG/Flying Lizard Motorsports as well as the TRG squad, brought home second and third. Race legend Hurley Haywood (61) contested the last race of his active career at the wheel of a Brumos-Porsche. With five overall victories to his credit, Haywood is the record winner in Daytona. The American achieved all five successes in Porsche race cars. After successfully debuting last year at five races, the GT Challenge Class for 911 GT3 Cup race cars now features at all American Le Mans Series rounds in 2010 for the first time. Porsche customers field various versions of the 911 GT3 Cup from the Grand-Am, the SCCA World Challenge and the Porsche brand trophy series, lining up together on the grid with LMP and GT race cars. The Sebring 12 hour event on 20th March opens the season. Porsche’s one make cup series remain in the fast lane. In 2010, six new GT3 Cup Challenges take off: Eastern Europe, Great Britain, Japan, Middle East (since December ‘09), Scandinavia and Switzerland. Around the world, a total of 19 Porsche brand trophy series are contested this year. 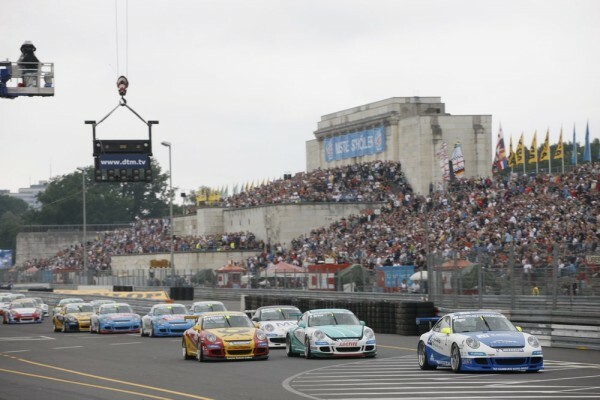 The Porsche Carrera Cup Deutschland enters its 21st season in 2010. Once again, the classic of all Porsche makes cups will run as support to nine rounds of the DTM. Added to the calendar for the first time is a race on Valencia’s street circuit. The sprint format over approximately 80 kilometres remains unchanged. Returning to the action is Uwe Alzen (42), the 1992 and 2007 champion. Preparations for the new Carrera Cup Asia season are running at high revs, with six race weekends fixed on the most important circuits of China, in Korea and Singapore. 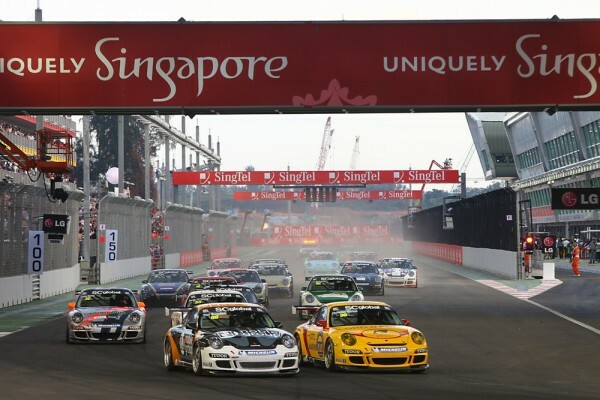 In Shanghai and Singapore, the Porsche series runs as support to the Formula One World Championship. Last season, Germany’s Christian Menzel claimed the title by one point, ahead of Britain’s Tim Sugden. Menzel is the first German to achieve this feat. And he is the only race driver to have secured Carrera Cup championships on two continents. In 2005 he was the champion of the Carrera Cup Deutschland. After three wins from four races, Abdulaziz Al Faisal is the leading man in the inaugural GT3 Cup Challenge Middle East. Only his teammate Khalid Al Faisal was able to push him off the top of the podium at round two in Bahrain. The lights turned green for the GT3 Cup Challenge in December 2009. Until March 2010, fans can witness the action on six race weekends, each with two races, in Bahrain, Saudi Arabia and the United Arab Emirates. After four weekends, each with three races, the five-time and reigning champion Craig Baird is again on course for the title in the GT3 Cup Challenge New Zealand. With two wins at the fourth meeting in Timaru (22-24 Jan.), Baird increased his lead over Matt Halliday. Bad luck plagued one of his strongest rival: The young Australian David Reynolds (24) – Baird’s teammate at Triple X Motorsport – is regarded as a hot favourite after winning at the second and third race weekend, but retired from race three in Timaru with a punctured radiator. Porsche ambassador and test driver Walter Röhrl (62) will contest the Nürburgring 24 hour race (15-16 May). With three other pilots, the double world rally champion drives a road-legal, 450 hp 911 GT3 RS. Perfect Porsche start into the new motorsport season with overall victory at the Dubai 24 hour race (15-16 January) thanks to works driver Patrick Pilet, Porsche Junior Marco Holzer and Raymond Narac in the 911 GT3 RSR run by IMSA Performance Matmut. Seven 911 GT3 Cup racers finished in the top ten. I agree that the Caymans show a lot of potential and it will be interesting to see how they do as they are better prepared, can complete a race and possibly make podium. As for the coverage, I looked back through a number of the older Porsche motorsport updates and they don’t give a lot of coverage to even the winning Porsche’s in the Continental Tire Series (previously the Koni Challenge).